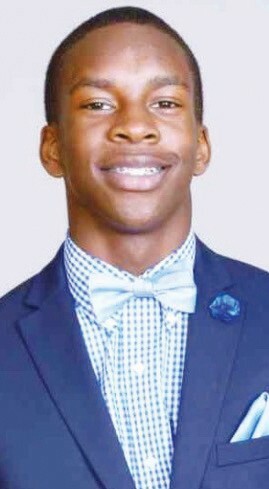 Teen Nate Moon, Jr, has been accepted to participate in the Vivien Coe Richard National Top Teens Leadership Academy, sponsored by Top Ladies of Distinction Inc., July 14-21, 2018 in Houston, Texas. The academy is designed to develop within the Top Teen those leadership qualities that enhance leadership abilities. The teens will participate in activities designed for emerging leaders. They will experience leadership development through hands on experiences, role-play activities, leadership activities and evaluation of their activities and decisions. They will participate in activities to clarify their own values, as they relate to goal setting, problem solving, team building, alternative choices, and relate them to real life situations. Nate is a sophomore at Savannah Christian Preparatory School where he is very active as a member of the football and soccer teams, participates in the concert band and is a member of the Spanish Honor Society and Mu Alpha Theta an organization that tutors math to under classmates at Savannah Christian. Nate is an active member at Tremont Temple Missionary Baptist Church where he serves as an usher, a member of the mime ministry, the AV ministry and assists with Children’s Church. Nate has been a member of the Savannah Chapter of Top Teens of America for the past three years and currently serves as the chapters’ 1st Vice President and the National Top Teens of America treasurer. Nate plans to continue his education, while serving his community and pursuing a degree in Chemical Engineering. Nate is the son of Deacon and Sis. Nathaniel and Andrea Moon, Sr. and has one sister Teen Ashley Moon. The Savannah Chapter extends congratulations to Teen Nate! Lady Annette Mitchell serves as President of the Savannah Chapter of Top Ladies of Distinction, Inc.